We wrote here briefly last month on our new partnership with Mille Poetes editions, when we presented the great video they made about our collaboration. Mille Poetes editions is a Montreal based, French language publisher that has been created for authors, poets and readers. Now it's also a new partner of Eco-Libris, as they dedicate 2% of their monthly sales to planting trees to combat deforestation, desertification and poverty. We wanted to learn more about Mille Poetes and conducted an interview with the owner and editor in chief, Guy Boulianne (see photo below). Can you tell us a little bit about Mille Poetes and your work process with authors? are there any specific types of publications you are focused on? Mille Poetes editions were created in November 2005 and incorporated in Delaware in early 2006. It is a domestic Limited Liability Company (LLC) managed from Quebec. Mille Poetes editions mostly publish poetry, but we are also very open to all genres of literature. Hence we are publishing novels, short stories, essays, children books, biographies, science fiction, historical books and others. All styles are welcome because we believe that the creation may not bear any limit. Can you provide us with information on some of the books you published lately? The latest book that we published is the short story by the Rwandan author Felix Ntihemuka: « La lumière origine de tout ». We also published the novels by the authors Francine Therrien from Quebec: « Coeurs migrateurs », Marie-Pierre Demon from France: « Au commencement était le Pouvoir » and Jean-Jacques Kurz from Switzerland: « Le mystère du bolduc maudit ». The goal of Mille Poetes editions is to publish authors from everywhere and all countries. Thus we have published books by Jean Saint-Vil (Haiti), Philomene Bohoussou (Ivory Coast), Anna Do So Tadjuideen (Poland), Noureddine Mhakkak (Morocco), Theodore Ouedraogo (Burkina Faso), Michele Machado (Spain), Axel Gaspart (Belgium), Thierry Waser (Switzerland), Pierre Charette (Quebec) and more. We are therefore trying, within our means, to work at the international level. Which are the biggest markets for books in French except of France of course? Most of our market is in France. We rarely receive orders from Belgium or Switzerland. Regarding Quebec (Canada), the market is too small. Quebec is composed of only 7.5 million inhabitants on a territory of 1 667 441 sq. km when there are 63.5 million people in France over a territory of 675 417 sq. km. Most publishing houses in Quebec survive through grants. For the moment Mille Poetes editions do not receive any subsidy or any private financial support. That’s why we ask a small contribution from authors who wish to publish with us. Are books in French dealing with the same difficulties that books in English struggle with or it's even more difficult for them because of the relatively limited market (in comparison with the English books market)? 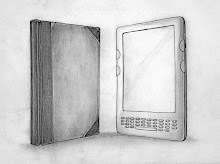 Despite major upheavals in the world of publishing with the development of electronic publishing with new technologies such as e-ink and readers Kindle (Amazon), Reader (Sony) and Cybook Gen3, the world 's French edition is doing fairly well in general. Like every year Livres Hebdo offers its ranking of the largest publishers in France or who has the most turnover during the year. For the year 2007 Hachette is holding up the tile with 2.13 billion euros in turnover, and the success of the group is not confined to France as it is the largest general editor the United Kingdom and the 5th largest in the United States. Then Editis with 760 million euros in sales (recall of editing was recently bought by Planeta) and France Loisirs which still belongs to Bertelsmann with 380 million euros sales, with editions Atlas 378.3 million euros sales, Media shares with 301 million euros sales, Lefebvre Sarrut with 296 million euros sales, Gallimard with 290 million euros sales, Flammarion with 243 million euros sales, The Martinière Group with 237 million euros sales and Panini France with 183 million euros sales. Livres Hebdo said that “seven of the twelve major players in the French edition are now foreign companies, all European”. In view of these figures, it must believe that the crisis was not too affected the publishing industry that benefits, according to our colleagues from Livres Hebdo yet, a "relatively good health" (Ref: Actualitté). Obviously we are talking here of the biggest publishing houses in France. This does not really concern Mille Poetes editions who publish in majority - as its name suggests – poetry books. We are a very small publisher and we make no distribution of books in bookstores. We sell through the Internet. People can buy our books directly from our online store or from our partners Abebooks, PriceMinister, 2xMoinsCher, Caplivres, Biblio.com (USA) and others. As a small publisher we avoid two important intermediaries: distributors and bookstores. In addition, Mille Poetes editions have been designed from the outset by this vision : they are an online business. You write that "Mille Poetes editions works in the third millennium. We are part and parcel of this new form of operation, this new form of economy, which enables us to expedite all processes, simplifying all the steps and open all borders." What do you mean by that? can you give some examples? Mille Poetes editions are a Publisher on Demand (POD), ie that we print and ship books to the unit and quantity. We use new manufacturing technologies and distribution as digital printing (eg Xerox) and Internet sales. Our books are available at the international level. We do not limit ourselves to one area or one market. We print and ship the book to the unit when there's a sale. We thus avoid the waste of ink, paper and human resources. We also avoid excessive printing of books that lead most of the time with the pestle for unsold. What do you enjoy most as a publisher? I started writing poetry with a depth arts at age 18 and I self-published my first book at age 20. From the start I decided to do everything by myself: I designed the graphics of the cover, I oversaw the typography and I paid my printer for a first printing of 500 copies. So I made my entry into the professional field of culture 26 years ago. In a very short time the national media in Quebec have spoken of me and my poetry, whether Ms. Francine Grimaldi to the newspaper La Presse and Radio-Canada, or the magazine Le Lundi that at that time more than 1 million readers. I always took my job very seriously. I extended it in art galleries and television as a conceptor and producer of « Ecriture d’ici » and « Plume et pinceau » TV programs at Videotron. I have always worked in the field of culture and organized projects and events of all kinds. The fact of working in Mille Poetes editions for me is the logical continuation of what I have always done in my life and now I offer my expertise to other creators. You can also read my biography that is published on AuthorsDen website, in USA. What is your favorite book currently and in all times? I can not give the title of a current book that I would prefer more than another. Several books of several authors that appeal to me once and I can’t provide any details about it. But, as lover of History, I am in great admiration for the work of Dom CL Devic et Dom J. Vaissete : « Histoire générale de Languedoc » (1875). Until recently, it was almost impossible to access this rare work which consists of several volumes containing about 1,000 pages each. The only places where one could read that books were the various departmental archives in France. But, with the advent of Google Books, we can now download a large part of the collection. For now, I own 9 volumes of the series. This work of the two Benedictine is a real treasure for French heritage. 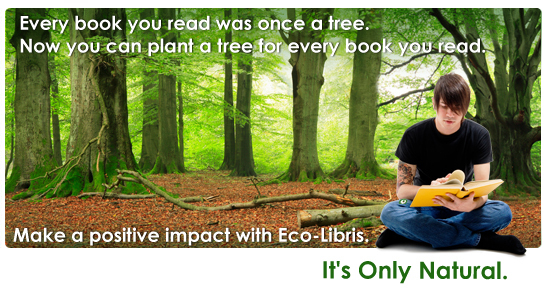 What is the main reason that you decided to devote 2% of their monthly sales of books by planting trees? Anyone living on the Earth must have a global conscience. The same goes for businesses. As a publisher on demand, Mille Poetes decreases the use of materials and human resources. In this sense we already have a non-negligible effort for the health of the planet: we can stop waste at its base. By devoting 2% of our monthly sales of books for planting trees we complete this process. Regardless of the amount of books we print per month, paper is used and trees are cut. It is therefore crucial to reinvest a portion of profits to eco-system to plant new trees, among other in Africa and Latin America. This has the effect of combat deforestation, desertification and thus poverty. That’s what we do in partnership with Eco-Libris. It is also important to note that this rebate on profits does not affect copyright for the authors. As a publisher, how do you see the efforts of the book industry to go green? where do you think there's a need to make more efforts? The book industry must do as Mille Poetes editions : eradicate waste at its core and back a portion of its profits in the eco-system. As a result there are more and more publishers and printers on demand in the market, which is a good thing in itself. We must abandon the old settings and the old conceptions of the world. We must develop a new economy around new technologies. Many developments have taken place since the invention of printing by Gutenberg in 1450 and the recent invention of the computer, via the digital press, electronic books, Internet and online downloading. Times have changed and only those who can adapt to new paradigms can survive and prosper. 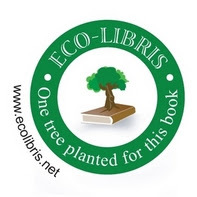 And finally, do you have any message to Eco-Libris readers? One day, perhaps Mille Poetes editions will translate their books in English. So Eco-Libris readers can learn more about our French authors and creators. Meanwhile it is still possible to buy our books in French on Biblio.com website. This can help them better learn the language of Moliere.